When it comes to coffee brewing technique, there is a lot of passion on all sides. Is pour-over better? What about Aeropress? And that’s to say nothing of the iced coffee debate, which gets people up in arms every time the weather turns warm. Aussie engineer Mark Folker wishes we could all just get along when it comes to coffee brewing methods. 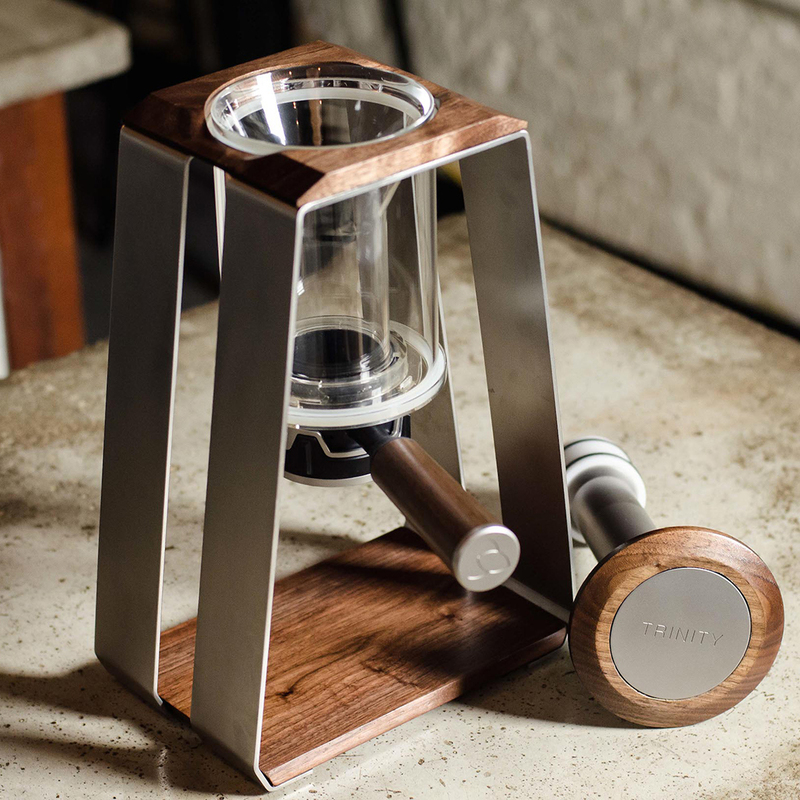 And to that end, he designed the Trinity ONE, which allows users to brew three ways on the same machine—pour-over, air pressure (similar to an Aeropress) or cold brew. Changing methods is as simple as popping a cap on top of the Trinity’s pour-over brew chamber or turning the flow control off to hold your coffee in place for a longer, cold brew extraction. No more fighting your coffee snob friends about which way you’ll brew those $40 a pound single-origin beans they just brought back from their trip to Ethiopia. The Trinity looks handsome as well. With all its steel and dark wood, it’s not meant to be hidden away like some wimpy French press. Folker is currently running a successful Kickstarter to fund the first production run and has already raised almost $65,000. Anyone who wants to get in early, the campaign runs until June 30. A Trinity ONE along with a digital scale will run you about $190, and you can expect to see it at your doorstep sometime in January.